Dr. Sproul was recently approached by Dr. Michael Youssef about participating on a satellite network broadcasting into the Arabic speaking world. 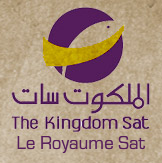 Al Malakoot Sat (Kingdom Sat) will officially launch on March 2, 2009. Ligonier along with several other ministries are sending video material to be translated and sub-titled into Arabic and we will be broadcasting several times a day, Lord willing. The broadcast footprint is astounding: 72 countries with a potential coverage of 121 million homes. We will begin by airing our well known “Dust to Glory” series, an overview of the Bible, with other of R.C.’s popular teaching series to follow later in the year. There is a wonderful team of translators and administrators that have been assembled to undertake this mission work. Maged Atalla, Al Malakoot’s Executive Director, is a former producer for Trans World Radio, is fluent in 4 languages and has extensive knowledge of the classical Arabic language. Response to the daily broadcast of “Dust to Glory” will be handled by phone centers in Paris, Amman, Minia (Egpyt) as well as with coordinators in Casablanca and Algiers. We will be providing additional resources, audio and Ligonier literature in Arabic to continue the theological education of those who call in from around the Middle East. Websites have been set up here and here for Arabic, English, and French languages. They will contain more daily information as the launch date arrives. The potential for this new effort is exciting and overwhelming. We are privileged to be a part of spreading of the Gospel into this area of the world that so desperately needs Truth. As this is not an inexpensive undertaking, we are grateful for those who support us financially. Renewing Your Mind on Kingdom Sat throughout the Middle East … until the whole world hears the message of God’s great salvation.